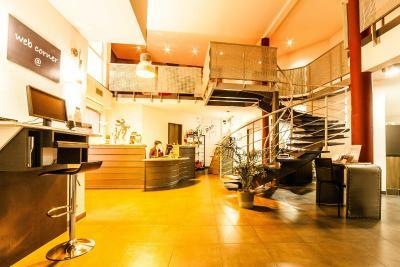 Lock in a great price for Hôtel les Dômes - Perpignan Sud by Hosteletour – rated 8.4 by recent guests! We stay in this hotel about 12 nights per year. We are very pleased with it. Reception is very nice and welcoming. Clean rooms. We will keep coming back. The staff was really nice, the rooms had a good size and nice bathrooms, the pool is lovely, safe parking on site, nice breakfast buffet. The rooms are nice and comfortable. Enough towels, clean bathroom. We come there 8-10 times per year on the way down to spain and back home north. Nice and friendly staff. When leaving we always get a small bottle of water or something else extra. Even the dog is welcome. Our room was described as a 'suite' but was just a room with ensuite. Breakfast was not included either. 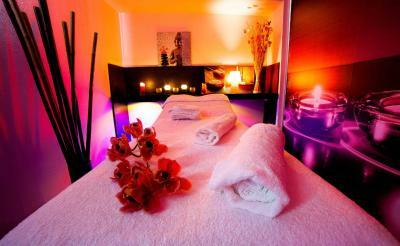 Great friendly staff, comfortable room, on site car parking and dog friendly. Have stayed at this hotel on 4 occasions now travelling to of from Spain. Great location and ideally placed to break up the journey close to the Spanish border. All good 👍😊 My second stay at this place, excellent overnight stay when passing by, I recommend for bikers 😎 Keep the good work Les Domes, excellent value for money with the "soirée étape"
One of our top picks in Perpignan.Offering 42 air-conditioned and soundproofed rooms, Hôtel les Dômes - Perpignan Sud by Hosteletour is an ecologically friendly hotel located in Saleilles, 1.2 mi from Perpignan and 50 feet from the Caliceo aquatic center and spa. The property is a 10 minute-drive to Saint-Cyprien and 20 mi from Banyuls-sur-Mer. Free WiFi is provided throughout. Each room has a modern décor, a flat-screen TV with satellite channels including Canal+, and a private bathroom with a bath or shower, free toiletries and a hairdryer. A safety deposit box and telephone are also available. 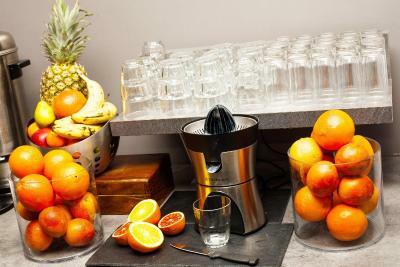 The hotel provides breakfast, served in the chic dining room or in the guests' rooms. Guests can also enjoy the on-site bar open 24 hours a day and restaurants located less than 350 feet away. 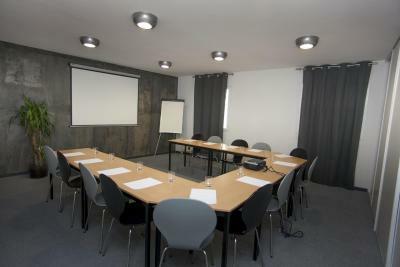 There is a 24-hour front desk service at the Hôtel les Dômes - Perpignan Sud by Hosteletour. Rooms are accessible by a elevator. 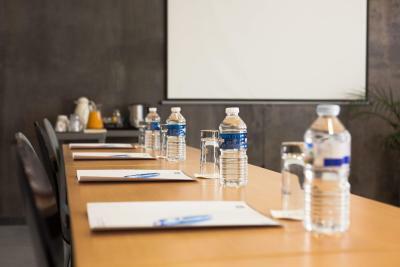 The hotel is a 4-minute drive to Méga Castillet commercial area, with restaurants and a cinema, and a 10-minute drive from Gare de Perpignan TGV Train Station. 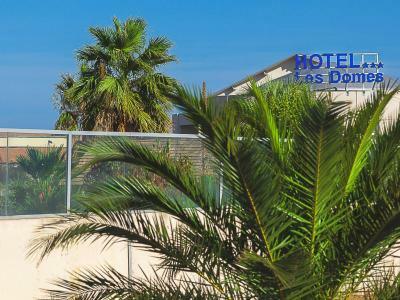 Hôtel les Dômes - Perpignan Sud by Hosteletour is 7.5 mi from the sea and 22 mi from the Spanish border. Free private parking is provided. When would you like to stay at Hôtel les Dômes - Perpignan Sud by Hosteletour? Soundproofed rooms decorated in a contemporary style and equipped with a reversible air-conditioning system, a flat screen TV with Canal+ channels and a complete bathroom. Soundproofed rooms decorated in a contemporary style and equipped with a small lounge corner, a reversible air-conditioning system, a flat screen TV with Canal+ channels and a complete bathroom. Towels are included. Soundproofed rooms decorated in a contemporary style and equipped with a small lounge corner, a reversible air-conditioning system, a flat screen TV and a complete bathroom with a spa bath. It also offers a balcony with a view. Towels are included. 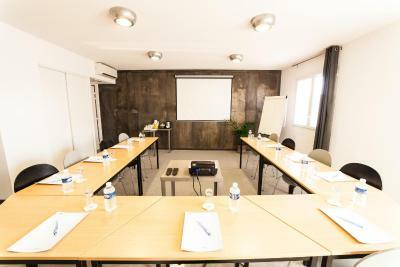 Soundproofed rooms decorated in a contemporary style and equipped with a small lounge corner, a reversible air-conditioning system, a flat screen TV with Canal+ channels and a complete bathroom. This double room has electric kettle, air conditioning and soundproofing. This double room features soundproofing, flat-screen TV and air conditioning. 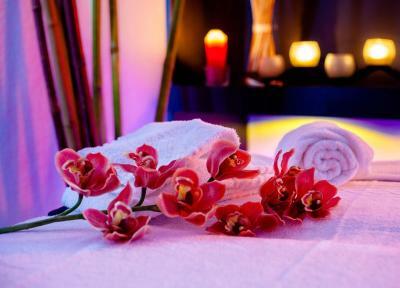 The spa package includes a 2-hour access to Caliceo spa located in front of the hotel. Guests have access to indoor and outdoor pools, aquatic activities, hammam, sauna and aquagym class. For more information, please contact the property. This family room has air conditioning, electric kettle and soundproofing. House Rules Hôtel les Dômes - Perpignan Sud by Hosteletour takes special requests – add in the next step! Hôtel les Dômes - Perpignan Sud by Hosteletour accepts these cards and reserves the right to temporarily hold an amount prior to arrival. Please note that tickets for Caliceo aquatic center and spa can be purchased at reception. Everything is fine. No complaints. Exterior pictures on site are misleading, they are not the hotel. Staff could have suggested the aquatic park opposite's deal they have, seeing as how they use their pictures and their own pool is an outside pool. Perfect location for us as driving to Spain. However location is within an industrial / commercial area with limited outside facilities within easy reach. There are a couple of restaurants on the estate but that is it. It would be nice to put the airconditionning on prior to the arrival of the guest on a hot summer night. It was farther than we understood, from the map. It's a bit tricky to find and although there are a few restaurants around it's located in a newly developed business area.